When we discussed what to name our company in December 2007, the partners agreed that the consulting, staffing, and recruiting industry isn’t rocket science. However, it is extremely challenging. We wanted to be different and we wanted to Dazzle our clients, consultants, and candidates. So, we took the two words, “Systems” (for business and technology) and “Dazzle,” and joined them to originate the name Sysazzle. 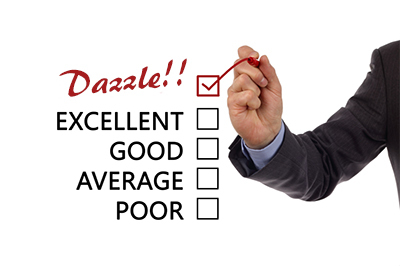 We have built a culture around “the Dazzle” with positive reactions from all around the World. Experience “the Dazzle” below and by visiting our Facebook page for images and stories of “the Dazzle”! “You strive to understand the needs of your clients and you make what can be a laborious process as painless as possible.” – Phil, Senior IT Director, DaVita, Inc.
“Sysazzle helped me retool, refresh and refocus my resume. With a 30-year career to my credit, I needed a new set of eyes to hone in on key accomplishments, clear away superfluous information, and highlight what employers today are looking for. Sysazzle’s professionals succeeded in a task I had been struggling with.” – A Mid Career Communications Consultant in Washington, D.C.